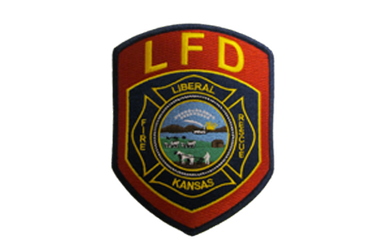 Residential Structure Fire – 602 S. Lincoln Ave.
At 9:08 pm Tuesday Liberal firefighters responded to a report of smoke and flames coming from a residence at 602 S. Lincoln Ave. First arriving units found active fire burning in a recessed porch area. The fire was quickly extinguished and declared under control at 9:13 pm. The fire had burned through the wall space and into the home. Firefighters remained on scene ventilating smoke from the residence and overhauling hot spots and hidden fire in structural members for approximately an hour. No occupants were at home at the time the fire was discovered. The fire is considered accidental in nature and is believed to have been started by discarded smoking materials. All personnel were cleared from the scene and returned to service at 10:34 pm. Liberal Fire responded with a total of 14 personnel and two engines. Also assisting at the scene were the Liberal Police Department, Seward County EMS, Liberal Water Department, Southern Pioneer Electric & Black Hills Energy.